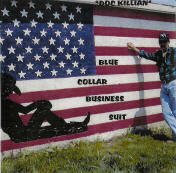 Doc Killian is a 50 year old factory worker who has spent about 20 years working in factories since he arrived home after spending 7 years as a U.S. Army Medic. A few years ago, his wife of 20 years talked him into listening to a bluegrass CD with the song "Darlin Nellie Grey" performed by the "Stanley Brothers". He liked the song so much that he was determined to learn how to play. So, he went and bought a banjo. While practicing daily, he started coming up with some tunes and lyrics to the some of the early songs he recorded. The banjo went on the shelf for a while so he could continue writing. While recording his first CD, "The Factory Worker", at WSDS Radio in Ypsilanti , Michigan , he met and became good friends with Bobby "Swampgrass" Anderson . Bobby was one of "The Westerners" (the band that started Mel Tillis in his career in Okinawa in the 1950's). 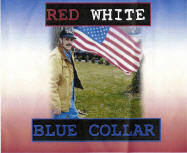 Bobby and Doc worked together on Doc's next 2 CDs, "Red, White & BlueCollar" and "Blue Collar Business Suit". 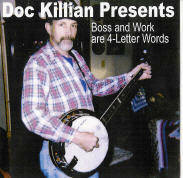 After a successful launch of those albums, Doc started recording the 4th album, "Boss And Work Are 4-Letter Words" with William Davis (a fellow worker, a friend, and excellent musician with 35 years experience as a professional). Bobby, Bill, and Doc worked on and released this latest CD which is now on the move in 30+ countries and the U.S.
-Airplay of 21 songs in the U.S.
-Review by Country Western Corner(E.H.King Music Magazine) said "Doc Killian is a FANTASTIC writer" and "is a very talented and well recieved artist"
CD Review: "These Songs Are Great"